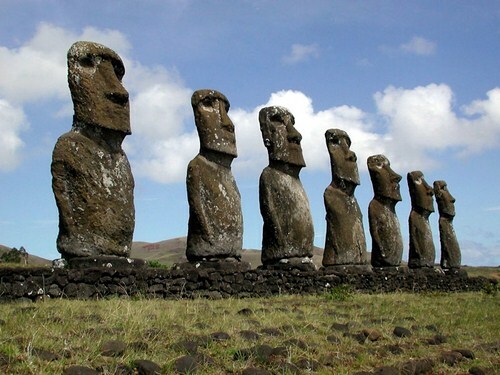 Located some 2,000 miles west of the Chilean Coast, Easter Island, or Rapa Nui, is a tiny island that has become famous for its remarkable isolation in the vastness of the Pacific Ocean. It is relatively small, measuring roughly seventy square miles in size, and is today home to around 4,000 people. The island has become well known for the massive rock sculptures called Moai that dot its beaches. They were carved sometime around the year 1500 by the island’s earliest inhabitants, and it has been said that the massive wood sleds needed to transport them from one place to another are a big part of what led to the almost total deforestation of Easter Island. Scientists have argued that the island was once lush and tree-covered, but today it is relatively barren, a feature that only adds to the sense of sheer isolation that is said to overtake most first-time visitors. When the first settlers migrated to the island, the journey took several weeks, but today there is a small airport (reportedly the most remote in all the world) that carries passengers to the island by way of Santiago, Chile. For sheer inaccessibility, few locations in South America compare to La Rinconada, a small mining town in the Peruvian Andes. Located nearly 17,000 feet above sea level, La Rinconada is considered the “highest” city in the world, and it is this stunning geography that makes it so desolate. 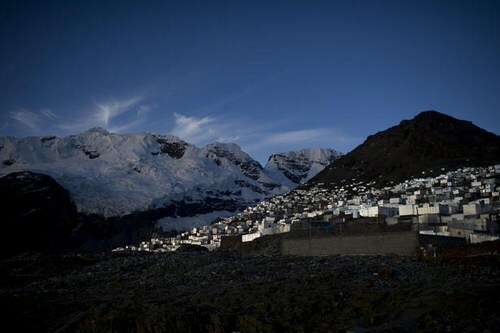 The city is located on a permanently frozen glacier, and can only be reached by truck via treacherous and winding mountain roads. Just reaching the city takes days, and even then altitude sickness, combined with the shantytown’s deplorable condition, means that few people can handle living there for long. Still, the town is said to have as many as 30,000 inhabitants, almost all of whom are involved in the business of mining gold, which is extracted from beneath the ice inside nearby caverns. In addition to its remoteness, La Rinconada has gained a dubious reputation as a destination for poor and desperate workers, many of whom work the mines for free in exchange for the right to keep a small percentage of the gold ore they find. Located literally at the bottom of the world, Antarctica is easily one of the most remote places on the face of the Earth. 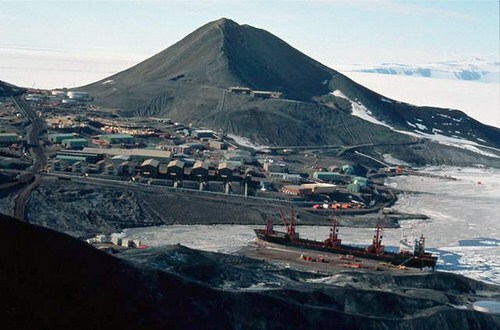 There are no native inhabitants to the continent, but there are several research centers constantly in operation there, and of these McMurdo Station is the largest. Located on Ross Island near the northern tip of the continent, the almost perpetually frozen station is a center of international research, and is home to as many as 1,200 scientists and workers during the warmer summer months. It’s one of the most desolate locations on the planet, but although McMurdo is as far from a major city as any location in the world, even it is no longer as backwater as it used to be. Trips by boat to Antarctica once took months, sometimes even years, but McMurdo’s three airstrips have helped make the region a much less remote destination than before. Thanks to this, the scientists at the station now enjoy many of the modern amenities found in major cities, including gyms, television, and even a nine-hole Frisbee golf course. Australia is known both for its extremely low population density and untouched natural beauty, both of which are best exemplified by Cape York, Peninsula, a huge expanse of untouched wilderness located on the country’s northern tip. 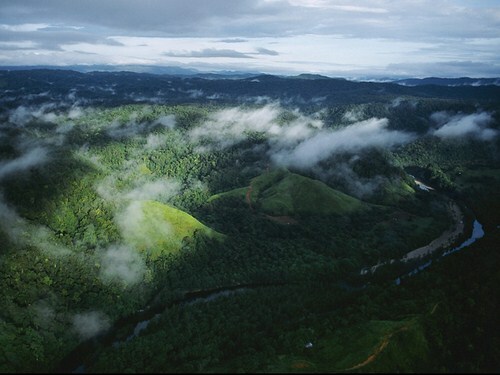 The region has a population of only 18,000 people, most of whom are part of the country’s aboriginal tribes, and it is considered to be one of the largest undeveloped places left in the world. This helps contribute to its stunning natural beauty, but it also makes Cape York about as difficult to reach as any destination in Australia. The peninsula has become a popular destination for adventurous tourists, who drive jeeps and trucks down the unpaved Peninsula Development Road whenever it isn’t closed due to flooding during the rainy season. But even with 4-wheel drive trucks, many of the more heavily overgrown parts of Cape York Peninsula are completely inaccessible, and some regions have still only been surveyed by helicopter. At 836,000 square miles in size, Greenland is the world’s largest island, but its tiny population of 57,000 people means that it’s also the most desolate. And of all the towns in Greenland, perhaps none is as remote (or as difficult to pronounce) as Ittoqqortoormiit, a small fishing and hunting village located on the island’s eastern shore, to the north of Iceland. The town is part of a municipal district roughly the size of England, but it has a population of only slightly more than 500 people, meaning that each person technically has more than 150 square miles to call their own. Residents make their living off of hunting polar bears and whales, which are prevalent in the area, and by fishing for Halibut during the warmer months. 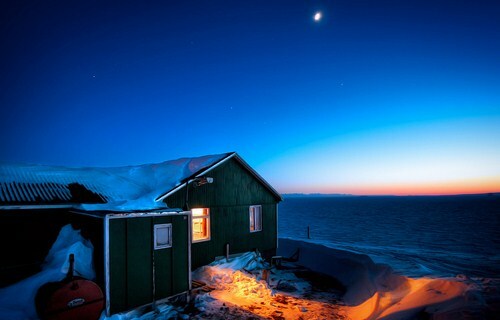 Ittoqqortoormiit lies on the coast, but the seas surrounding it are almost perpetually frozen, leaving only a three-month window when the town is easily accessible by boat. There is an airport some 25 miles away, but flights are rare. For the most part, the town, one of the northernmost settlements in the world, is completely isolated in the vastness of the tundra. Also known as the “Desolation Islands” for their sheer distance from any kind of civilization, the Kerguelen Islands are a small archipelago located in the southern Indian Ocean. There is no airstrip on the islands, and to get to them travelers must take a six-day boat ride from Reunion, a small island located off the coast of Madagascar. The islands have no native population, but like Antarctica, which lies several hundred miles south, the Kerguelens have a year-round population of scientists and engineers from France, which claims them as a territory. The islands do have something of a storied past, and since they were first discovered in 1772 they have been visited by a number of different biologists and explorers, including Captain James Cook, who made a brief stop on the archipelago in 1776. Today the island is primarily a scientific center, but it also holds a satellite, a French missile defense system, and even serves as a sort of refuge for a particular type of French cattle that has become endangered on the mainland. 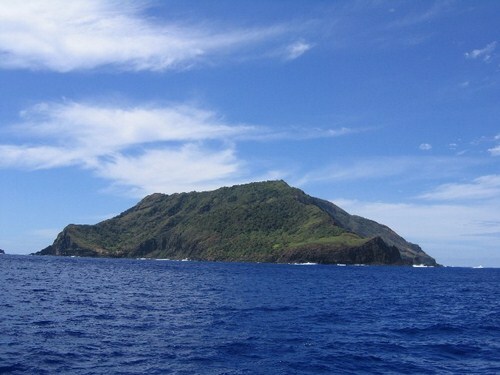 Pitcairn Island is a tiny speck of land located nearly dead in the center of the southern Pacific Ocean. 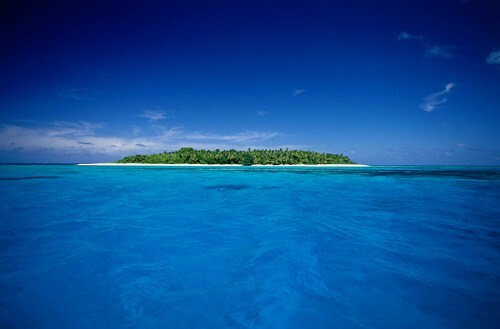 Its closest neighbors are the Gambier Islands and Tahiti to the West, but even these are several hundred miles away. The island, which is the last remaining British territory in the Pacific, has a standing population of some fifty people, many of whom are descended from crewmembers of the famed HMS Bounty. In 1789, the Bounty was the setting for a now-legendary mutiny, when crewmembers enchanted by the idyllic life of the native Pacific islanders overthrew their commander, burned their ship in a nearby bay, and settled on Pitcairn. Today, the descendants of those sailors mostly make their living off of farming, fishing, and selling their extremely rare postage stamps to collectors, but even with modern transportation they still remain one of the most isolated communities in the world. There is no airstrip on the island, and getting there from the mainland requires hopping a ride on a shipping boat out of New Zealand, a journey that can take as long as ten days. 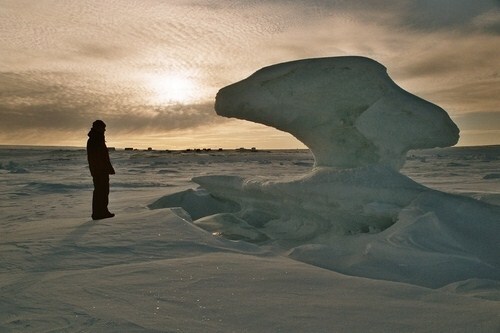 Located in Canada on the tip of the Nunavut territory, Alert is a small village that lies on the Arctic Ocean only 500 miles below the North Pole. It is widely considered to be the northernmost permanently inhabited place in the world (with a whopping five year-round residents), and also one of the most inhospitable. Temperatures in Alert, which also serves as a Canadian radio receiving facility and a weather laboratory, can get as low as 40 degrees below zero, and because of its location at the top of the Earth, the camp alternates between 24-hour sunlight during the summer and 24-hour darkness during the winter. The nearest town to Alert is a small fishing village some 1,300 miles away, and you would have to travel nearly twice that distance to reach major cities like Quebec. Because of its military function, Alert does have an airport, but because of weather it is often unusable. In 1991, a C-130 aircraft crashed there when its pilot misjudged his altitude and brought his plane down 19 miles short of the runway. 4 people died in the crash, and another perished while waiting for a rescue party, which took nearly 30 hours to make the short journey to the site because of a blizzard. Considered the last county in China without a road leading to it, Motuo is a small community in the Tibetan Autonomous Region that remains one of the few places in Asia still untouched by the modern world. Just getting to Motuo is a Herculean task, as travelers must follow a grueling overland route through frozen parts of the Himalayas before crossing into the county by way of a 200-meter-long suspension bridge. 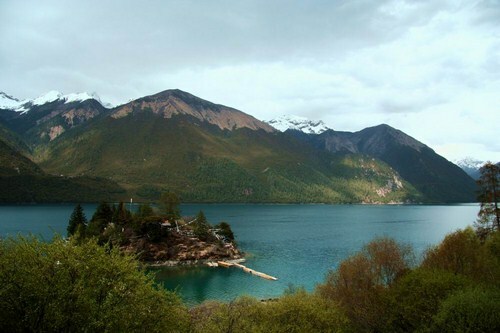 The county is renowned for its beauty—Buddhist scripture regards it as Tibet’s holiest land—and it is said to be a virtual Eden of plant life, housing one-tenth of all flora in China. Despite its stunning geography and natural resources, Motuo still remains something of an island unto itself. Millions of dollars have been spent over the years in trying to build a serviceable road to it, but all attempts have eventually been abandoned because of mudslides, avalanches, and a generally volatile landscape. As the story goes, in the early 90s a makeshift highway was built that led from the outside world into the heart of Mutuo County. It lasted for only a few days before becoming un-passable, and was soon reclaimed by the dense forest. The single most remote inhabited place in the world, Tristan de Cunha is an archipelago of small islands located in the southern Atlantic Ocean. The nearest land to the island is South Africa, which is roughly 1,700 miles away, while the South American coast lies at a distance of about 2,000 miles. 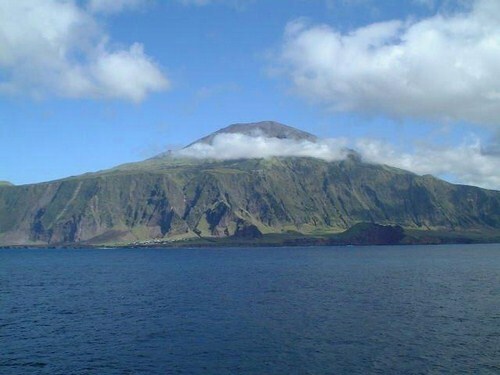 Despite its tiny size and astonishing isolation, Tristan de Cunha has enjoyed a rich history. The island was first discovered in 1506 by a Portuguese explorer, and was later annexed by the British, who feared the French might use it as a point of departure to rescue Napoleon, who had been exiled to nearby St. Helena. A small group of British, Italian, and American settlers began living on the island in the 1800s, and it is still under the U.K.’s jurisdiction today. The islands now have a total population 271 people, most of whom are descended from those original settlers and make their living as farmers and craft makers. Although the island now has some television stations and access to the internet via satellite, it is still the most physically isolated location on planet earth. The island’s rocky geography makes building an airstrip impossible, so the only way to travel to it is by boat. It was once regularly connected to South Africa by a British transport ship, but this vessel has since stopped calling on the island, and outside of the occasional cargo vessel, now the only visitors to Tristan da Cunha are deep sea fishing boats.